The Jaguar S-Type was released in 1999 to a largely favourable critical response. Originally, two engines were made available, a 3.0 litre V6 capable of generating 240 bhp and a 4.0 litre V8 developing 281 bhp. The 4.0 litre model was only available in one trim and with an automatic transmission. The 3.0 litre was available in a base or SE trim and with a choice of gear box. In 2002, a more affordable 2.5 litre V6 was added to the range and the 4.0 litre model was replaced with a 4.2 litre model. A top of the range supercharged 4.2 litre version, known as the Jaguar S-Type R was also introduced as the flagship model. Early 2004 saw the entire range given a facelift and later that year the 2.7 litre diesel model appeared. The diesel model was so successful that Jaguar stopped making the 2.5 litre V6 altogether. In 2007, the standard used Jaguar S-Type cars for sale received the sportier grille and bumper from the S-Type R. Production of the Jaguar S-Type ended in 2008 when it was replaced by the Jaguar XF. 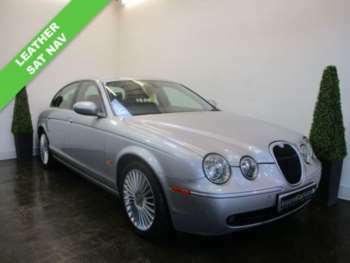 The approved used Jaguar S-Type may not compete with the BMW 5 Series in terms of its drive but definitely compares favourably in many other aspects, not least its price. It is also packed full of features. The 4.0 litre, like the V6 SE, comes with a power sunroof, leather upholstery, cruise control, steering wheel stereo controls and front fog lamps. Even the entry-level V6 comes with a load of features as standard such as electric seats, alloy wheels, climate-controlled air conditioning, traction control, ABS, a trip computer, a sophisticated security system and twin front and side air bags. Many other features were offered as options, such as the CATS suspension system and satellite navigation, so bear this in mind when looking at used S-Types, there may be a pleasant surprise in store. 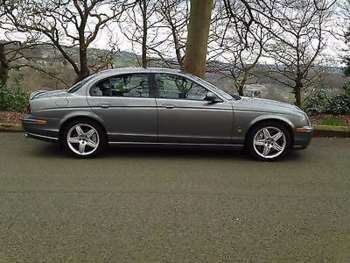 If you can find a used Jaguar S-Type for sale in good nick for under £4300 you should probably snap it up. That kind of money will bag you a 1999 T-registered 3.0 manual S-Type and £700 extra should be enough for the automatic version. An SE V6 from the same year will set you back about £4900 for a manual transmission and £5600 for the automatic. 4.0 litre V8 models aren't much more than the V6 SE, a 1999 V8 will be around £5800. 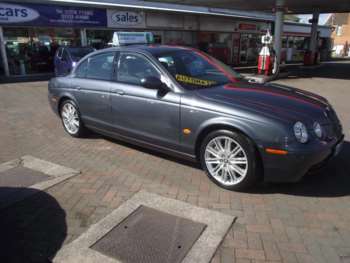 3.0 litre Jaguar S-Types find themselves in insurance group 15 whereas the 4.0 litre models are in group 17. Buying a used Jaguar used to be a huge gamble but since they were taken over by Ford, most of the previous reliability issues have been smoothed out and Jaguars can now compete with Mercedes and BMW in the reliability stakes. Having said that, you should make sure there is a full service history with any used S-Type. There are no known mechanical issues. The quality of some parts of the interior, especially on the ashtrays and glove box, is less than you would expect in a luxury car, so check these for damage. If the car you are viewing has had the 17 inch optional wheels fitted then you should check them for the kerbing damage they are known to be susceptible to. Check carefully for any small dents, dings and stains, as even the smallest blemish can affect the value of a luxury car like this. Replacement parts for second hand S-Types are not cheap but nor are they extortionate. A set of front brake pads will set you back around £50 while rears are £40. A new clutch assembly is around £220 and a new exhaust system around £520. Expect to pay £200 for a replacement headlamp. The cheap used Jaguar S-Type for sale gives one of the best rides in its class with even the biggest pot holes barely noticeable. Although cars that have had the optional 17 inch wheels added are a little more bumpy than those with the standard wheels. The steering is a little too assisted on V6 models but better in V8s. Both engines are impressive and can produce some very decent performance figures. The V8 has a noticeable rush of power which the V6 doesn't, but both engines lack any decent noise to go with their stats. All in all though, the S-Type combines class, luxury, power and style well and is very nearly the complete car. 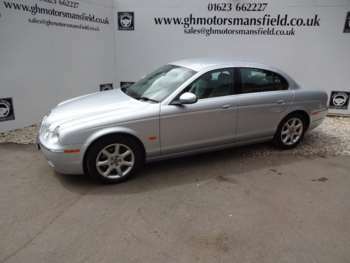 Got a specific Jaguar S-Type model in mind?